Modern pages represent Microsoft’s updates to make SharePoint Online more responsive and browser-compatible. 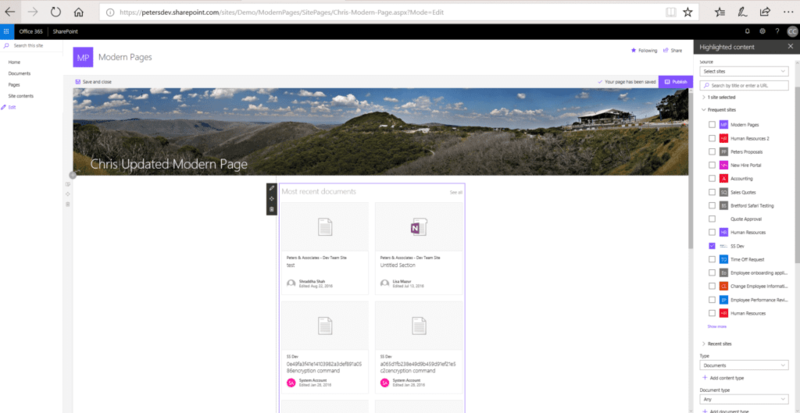 As part of a staged reworking of SharePoint Online, Modern pages are still a limited set of functionality in existing SharePoint deployments. In this blog, we will look at where Modern pages stand as of this writing. One important item of note is that you can’t yet create a site using a Modern site page as the home page. It is also important to note that if you change the content type from Site page, you cannot change it back. So make sure that is what you want to do before making any modifications. We will continue to provide updates on Modern pages as they become available. In the meantime, if you have questions or would like to discuss any aspect of your SharePoint environment or project, send us an email at info@peters.com or call 630.832.0075 to start the conversation. We are happy to help!